Hey, is Cluj Napoca competing against Buenos Aires or Paris? 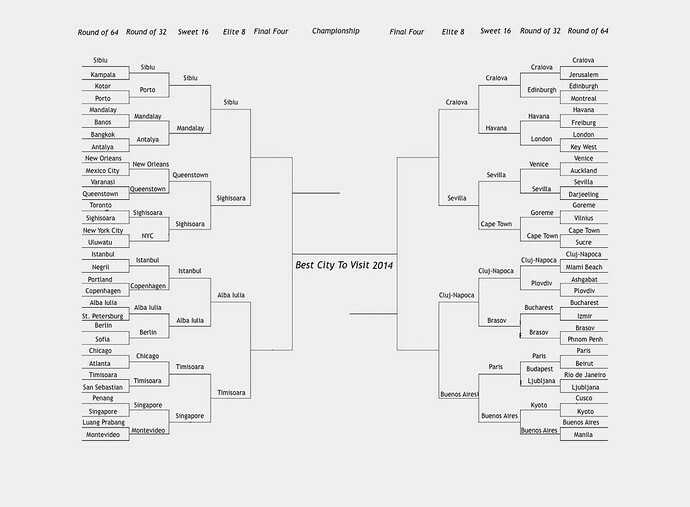 It is Buenos Aires, I made an error on the bracket above but I’ll replace it now. Thanks for pointing it out. 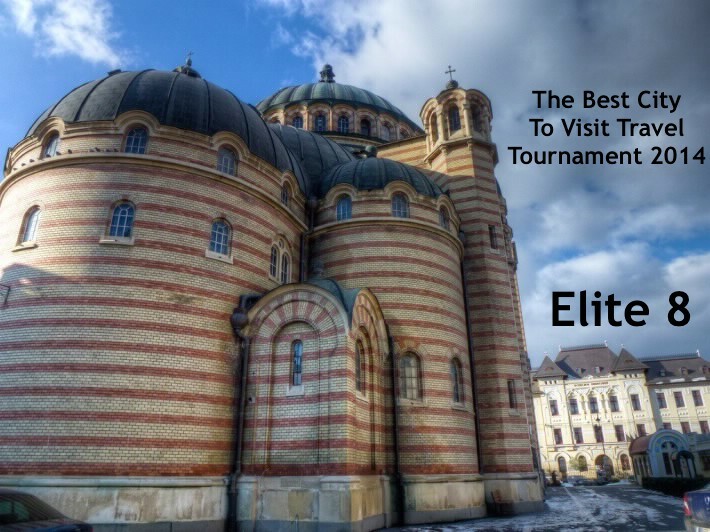 The fact that Romania represents 6 of the “top 8 cities to visit” makes this competition a complete joke. I’ve only ever been to Sevilla, so I can’t say that the Romanian cities aren’t worthy. I do look forward to reading your posts, Anil, however this turns out. Today’s election day in my Dutch town, so I appreciate that I get to participate as a first-time voter for my city council AND as a returning voter in this travel tournament. May the best ‘candidate’ win!! I think many people did! Anil, will we be able to see the number of votes before the ending of the voting period for this stage? They’ll hopefully be up later today or tomorrow in the morning European time. Unfortunately not, most of my readers are in the US and have the site’s schedule set to reflect it. (Plus helps me keep organized. I try though to find good ending times for both US and Europe.